In honor of Hispanic Heritage Month, Lehman College and Hostos Community College will cosponsor for the first time the annual Puerto Rican Festival de la Palabra October 9-11. Writers, poets, and journalists from across Latin America will hold readings and panel discussions on the state of Latino literature and its influences in the media, politics, and culture. Authors will visit Hostos on Wednesday, October 10, and Lehman on Thursday, October 11. Lehman will welcome authors Awilda Cáez, Rosa Beltrán, Mayra Santos-Febres, Julio Ricardo Varela, José Manuel Fajardo, and Hilda García for a panel discussion on “Writing Across Genres and Oceans: The Evolution of Fiction and Non-Fiction Writing for English and Spanish-Speaking Audiences.” This event is free and open to the community and will be held on October 11 in the Lovinger Theatre from 12:30-1:45 p.m. Prior to the panel discussion, authors will tour classrooms and meet with students enrolled in courses in Latin American and Puerto Rican Studies. Hostos will host Orlando Ferrand (Cuba), Angel Antonio Ruíz Laboy (Puerto Rico), Luis Negrón (Puerto Rico), Charlie Vázquez (U.S.) and Anna Lidia Vega Serova (Cuba). Their discussion, focusing on “The Role of the Writer in Contemporary Caribbean Society and Its Diaspora,” will give Hostos students the opportunity to engage in dialogue with internationally prominent authors and learn about the role of the writer in both contemporary Caribbean society and its diaspora. This event is closed to the public. The events on the Lehman and Hostos campuses are part of a larger festival taking place over the course of three days and in several locations, including the Queen Sofia Spanish Institute, Instituto Cervantes de Nueva York, King Juan Carlos I of Spain Center/NYU, Baruch College, Fordham University, and the McNally Jackson Bookstore in Manhattan. Launched in 2010 in San Juan, P.R., the Festival expanded to New York in 2011. Its goal is to help launch the internationalization of Puerto Rican and world literatures, and to promote reading and a better understanding of Latino culture. 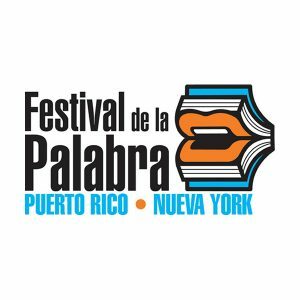 For the Festival’s extended schedule, visit firekingpress.wordpress.com/2012/09/17/festival-de-la-palabra-de-puerto-rico-in-nueva-york. For more information on the events taking place at Lehman and Hostos, including excerpts of each author’s work, visit http://www.lehman.edu/academics/fdlp.php.